Daimler Trucks, a division in the Daimler Group, and Torc Robotics, a pioneer in autonomous driving solutions, are joining forces in a one-of-a-kind combination to commercialise highly automated trucks (SAE Level 4) on U.S. roads. The companies have signed an agreement whereby Daimler Trucks and Buses Holding Inc. will acquire a majority stake in Torc Robotics for an undisclosed sum. Closing of the acquisition is subject to approval from U.S. authorities. “Bringing Torc Robotics within the Daimler Trucks family creates a unique and powerful team of innovators to put highly automated trucks on the road,” said Martin Daum, Member of the Board of Management Daimler AG, responsible for Trucks and Buses. 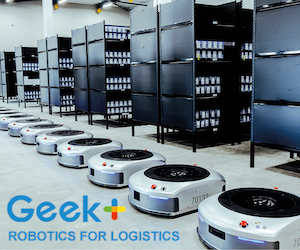 Tag Team Manufacturing, a specialist in precision production runs and prototype work for original equipment manufacturers, says deploying Rethink Robotics’ Sawyer for large production jobs at its facility in Parker, Colorado, has led to significant improvements in its productivity. Tag Team uses Sawyer in an effort to help decrease client costs while shortening the delivery times to market. Sawyer enabled Tag Team to work 24 hours per day, seven days per week to meet the condensed delivery window that otherwise would have required an addition of five machinists in a very tight labor market. A well-trained team of robots from Germany has won the robot equivalent of the World Cup. The event, officially called the Stanford Platform competition, pits teams of five Nao robots – originally developed by Aldebaran – against each other in a knockout tournament. And as with many human World Cups, the robot tournament was won by a team from Germany, ironically called B-Human. Looking for a job? Millions of jobs worldwide listed now on Jooble! 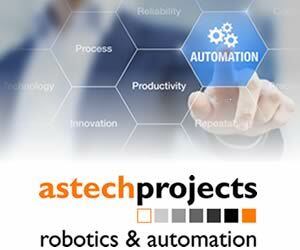 Robotics and Automation News was established in May, 2015, and is now one of the most widely-read websites in its category. Please consider supporting us by becoming a paying subscriber, or through advertising and sponsorships, or by purchasing products and services through our shop – or a combination of all of the above. This website and its associated magazine, and weekly newsletter, are all produced by a small team of experienced journalists and media professionals. If you have any suggestions or comments, feel free to contact us at any of the email addresses on our contact page. We’d be happy to hear from you, and will always reply as soon as possible. We support the principles of net neutrality and equal opportunities.